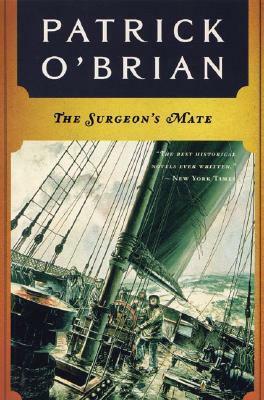 The beginning of the seventh novel in Patrick O’Brian’s sea-faring adventure series finds Jack Aubrey and Stephen Maturin in Halifax, having just escaped the Americans who were holding them captive in Boston. With them is Diana Villiers, who has left her former lover behind, but brought her diamonds with her. The plan is for Diana to finally marry Stephen so that she can once again be a British citizen. Of course, with Diana, plans don’t always go as smoothly as one might wish, and complications soon arise. Jack Aubrey is managing complications of his own. His finances are a mess, and an unwise liaison with a young Halifax woman could have long-term consequences. Returning home offers no relief, so he’s all too happy to take on a short mission to take Stephen to convince the Catalans who hold an important fortress in the Baltic to defect from the French and assist the British. As I’ve read through this series, I’ve felt that the books have gotten better and better, but this one didn’t do as much for me as the previous ones. It has its delightful moments; Jack almost never fails to make me laugh, and Jack’s scheme for approaching the Catalan fortress was one of his cleverest maneuvers yet. And of course, the relationship between Stephen and Diana continues to leave me all kinds of conflicted. The book ends on an up-beat note for the couple, but I just can’t imagine a lifetime of happiness for them. So although there was a lot here that I enjoyed, the story as a whole didn’t grip me. Or it only managed to grip me in bits and pieces. I loved the beginning in Halifax and the final third, when Stephen and Jack are imprisoned in France. But the nautical sequences through the middle were more confusing than in the last couple of books, and the addition of military intelligence gave me more to keep track of, so I lost the thread a few more times than I’d like. Still, I think it’s the bits and pieces that make these books a pleasure. The adventures themselves are just an excuse to get these two wonderful characters together and give them something to do so that readers can spend time with them and their shipmates. I am looking forward to,starting this series later this year. It is slowly moving up my list. Hooray! I hope you enjoy them as much as I do. There’s a lot of political intrigue coming in the next four or five books. These are such connected books — a real roman fleuve — and you can’t really separate them out, but Stephen’s role as political advisor takes the ascendant. Sigh. They are so wonderful. I’m glad you’re enjoying Jack — it took me at least one entire read-through to appreciate him properly. I read somewhere that they start to feel like one novel right around Desolation Island, and I’m certainly seeing more connectedness. I’ll be interested to see how I react to the ramped-up political intrigue. I liked that strand in Desolation Island and Fortunes of War, but not so much here, perhaps because it was introduced so late in the book. And I do love Jack. Stephen is more crushable, but Jack cracks me up–quoting Ophelia and eating till he’s fit to burst but then taking such firm, sure charge of whatever ship he’s given. He’s wonderful. I think I loved Stephen so hard (he is the one fictional character I am quite sure of meeting in heaven) that he just didn’t leave enough room for me to appreciate Jack’s sterling qualities. In the end, I began to love Jack because Stephen did, and then, eventually, completely on his own merits. How wonderful it must have been to read these when you were aboard ship!